^ RootsWeb's WorldConnect Project: McKinley Family. ^ Rixey P. M., Mann M. D., Mynter H., Park R., Wasdin E., McBurney C., Stockton C. G.: The official report on the case of President McKinley. JAMA 1901; 37: 1029?1059. 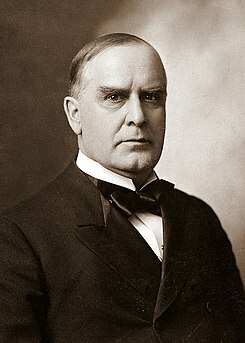 The Assassination of President William McKinley, 1901 - an account of the killing. A Loose Bandage (Beck Reilly) is an alternative 20th century following the failed assassination of William McKinley.